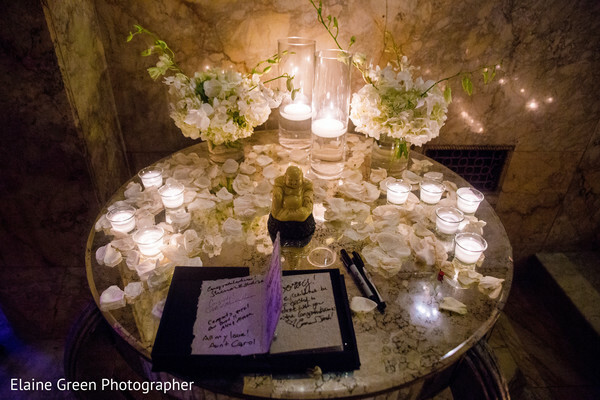 As guests descended a marble staircase lined with flickering candles, they knew they were in for a special night filled with elegance and romance. Before the ceremony began, Qasimah and Eric’s nearest and dearest mingled in the magnificent ballroom at the Lotte NY Palace Hotel, where the gorgeous architecture was highlighted beautifully by the purple and green uplighting by DJ Bunty and further enhanced by divine florals and draping by Stylish Events. 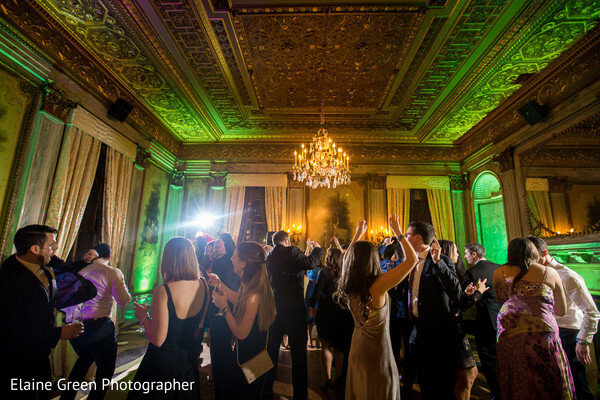 Touch of Elegance Event Planners were in action making sure every detail was executed perfectly, while Music By Gigi LLC assembled to provide atmospheric music for the ceremony. When the procession began, guests collectively gasped as Maharani Qasimah descended serenely down the aisle. 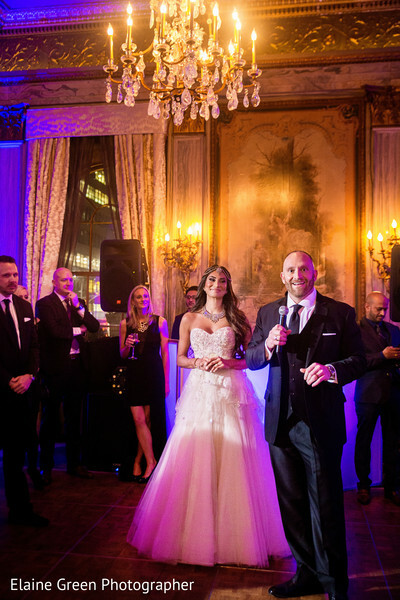 She was the definition of a glowing bride, and Eric couldn’t take his eyes away! 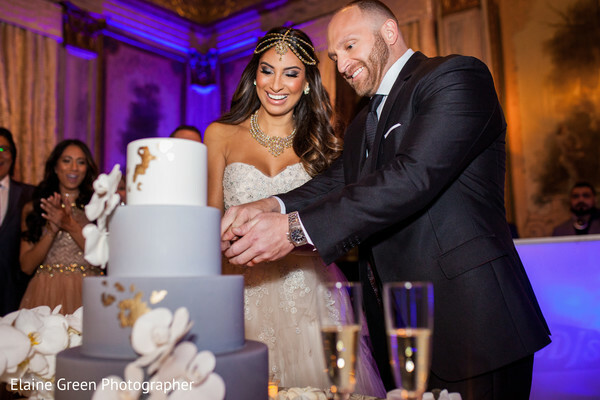 The ceremony went off beautifully, and the radiant newlyweds cut their cake from Ron Ben-Israel Cakes, which boasted a subtle ombre effect as chic as the newlyweds! 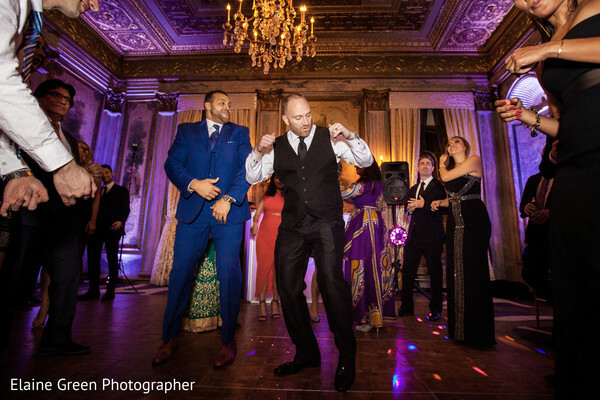 As DJ Bunty took over the dance floor, the couple and their guests were in ecstasy as they let loose! 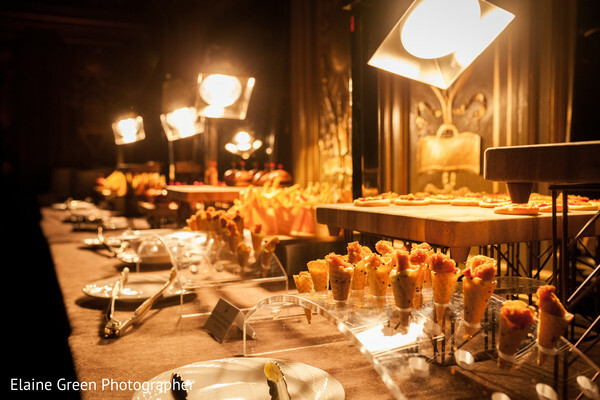 Let the beauty of Qasimah and Eric’s event wash over you while perusing the full gallery by Elaine Green Photographer! 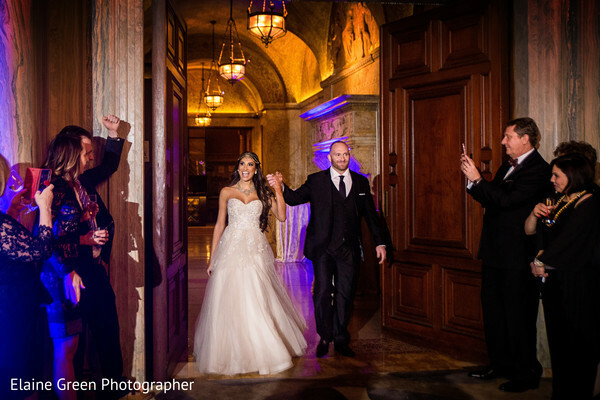 Maharanis, we hope you loved that fairytale wedding! We’ll see you tomorrow with another magical wedding feature! 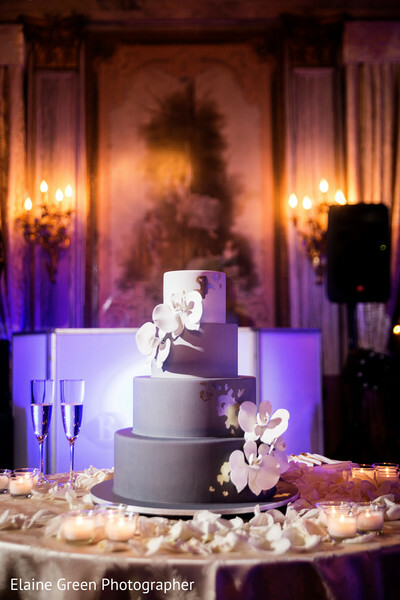 Stylish Events, Touch of Elegance Event Planners and Mehndi by Monika are members of the Platinum Guide. Love what you see? Explore their portfolios.